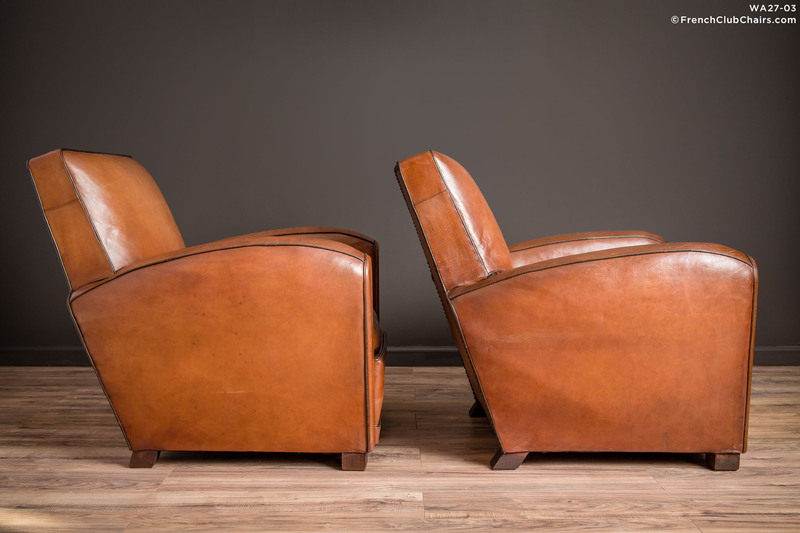 Sweet Squareback pair of French leather club chairs, a handsome addtion to your library or sitting room.The feature all original leather in excellent condition. Circa 1940s. measurements: depth-38", width-35", height-34", seat depth-22", seat width-18", seat height-15"